Landscape designs will increase the value of your home. Hiring a landscape architect/designer is one of the best investments for your home, adding as much as 15 percent to its value over comparable houses. An experienced designer is well equipped to design an outdoor living space that will not only add value, but also extend your living space while allowing you to enjoy all that nature has to offer. Arbors, installed seating, fountains, fire pits/fireplaces, patios, and even outdoor kitchens can create a space that is both inviting and environmentally sustainable. A big advantage of hiring a designer is that they’re trained to think about landscapes as systems. They will assess your property’s problem areas as well as possibilities and create a solid plan that addresses both the big picture and exact details of how your landscape will look. They will also help you select the perfect materials, styles, textures, and colors for your landscape project. A landscape designer will handle all the details, saving you time and stress. For those who are looking for low-maintenance gardens, native plants are the way to go—and a landscape designer will incorporate them into your landscape design. Native plants reduce water costs and often reduce chemical applications, and insects like bumble bees and butterflies flourish among them. 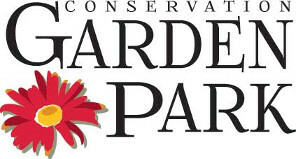 Proudly partnering with Conservation Garden Park and Localscapes. We are concerned with water conservation and functional yet visually pleasing landscapes. That's why we partner with the Conservation Garden Park and Localscapes!